In the DFG research group entitled "Sociality and Health in Primates", scientists from Göttingen, Berlin and Leipzig investigate the effects that group living has on the health of wild lemurs, monkeys and apes. Initiator and spokesperson for the research group is Peter Kappeler, who has a joint professorship at the University of Göttingen and the German Primate Center (DPZ). The German Research Foundation (DFG) has provided financial support for the research group for a total of six years, starting in 2015. The scientists of the research group investigate how aspects of sociality, such as social stress, friendships or group size, affect susceptibility the health of wild primates. The scientists study the social factors in great detail, measure physiological indicators of health and estimate the consequences of variable health for individual survival and reproductive success. Because it has been known for years that socially well-integrated individual baboons and humans live longer and have more offspring compared to socially stressed or isolated individuals, the focus on the physiological mechanisms that mediate these effects, but also the detailed behavioral and fitness data can make important contributions to this field of research. In seven current research projects, scientists from the DPZ, the University of Göttingen, the Max Planck Institute for Evolutionary Anthropology (Leipzig) and the Robert Koch Institute (Berlin), examine the effects of social variables, such as group size, dominance rank or social support on different aspects and indicators of health and endocrine profiles. To this end, the scientists specifically measure stress hormones, parasite burden and physiological balance non-invasively in wild lemurs, baboons and chimpanzees. Other projects focus on the effects of aging or prenatal stress on health and sociality, the determinants of gut microbiome composition, and the relationships between social organization and the diversity of parasite and symbiont diversity. 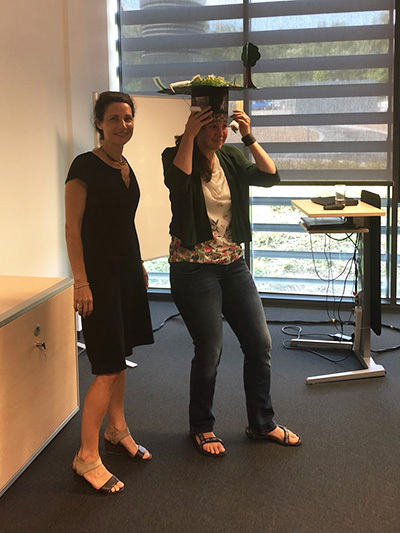 On August 7th 2018, Nadine Müller successfully defended her Ph.D. thesis on the costs and benefits of scoiality in semi-free ranging Barbary macaques, investigating the links between Barbary macaque sociality, physiology and gastrointestinal parasites. She is the 2nd student of the SoHaPi group to receive her Ph.D. from the University of Göttingen. We wish her all the best for the future! 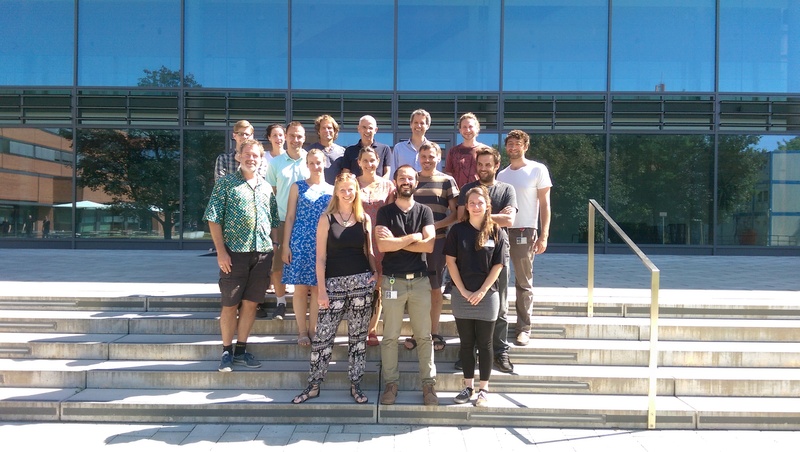 From June 7-8, 2018, the SoHaPi 2 PIs and all available PhD students and Postdocs met at the Robert Koch Institute (Berlin). With pleasure we welcomed our three guest speakers Dr. Ben Dantzer, Prof. Dr. Emanuel Heitlinger and Dr. Andreas Berghänel, who gave us new insights into links of ecology and hormones in North American red squirrels, novel approaches and techniques in microbiological analyses, and new findings on pre-natal stress effects in chimpanzees, respectively.